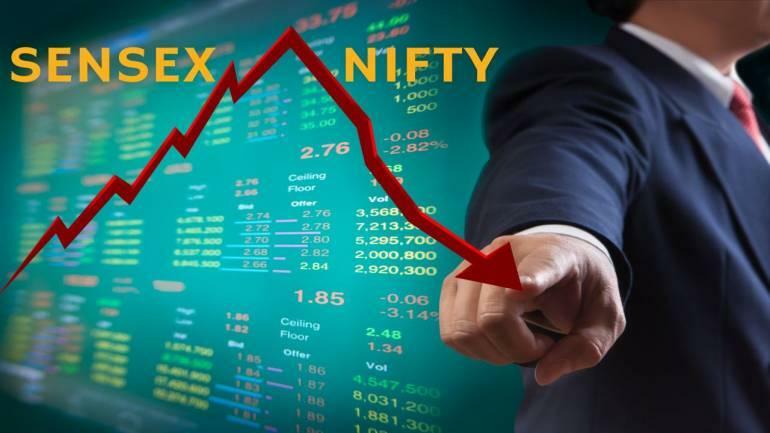 The BSE Sensex turned choppy after falling nearly 100 points today and NSE Nifty slipped below the 10,200-mark on fresh losses in metal, healthcare, Teck, IT and realty stocks amid muted global cues. The 30-share barometer, which had gained 286.68 points on the first session of new fiscal yesterday, shed 96.77 points, or 0.29 per cent, to 33,158.59. The NSE Nifty too was trading 29.95 points, or 0.29 per cent, lower at 10,181.85. Brokers said investor sentiment turned weak largely in tandem with a bearish trend in other Asian markets, tracking overnight losses at the Wall Street on weakness in technology shares and trade tension between the US and China. Top laggards include Wipro, Adani Ports, ONGC, Tata Steel, Coal India, Asian Paint, Infosys, HDFC Bank, Bharti Airtel, L&T and Kotak Bank, falling up to 1.86 per cent. On the other hand, SBI, Yes Bank and ICICI Bank were among the top gainers, rising up to 2 per cent. Meanwhile, on a net basis, foreign portfolio investors (FPIs) sold shares worth Rs 689.75 crore, while domestic institutional investors (DIIs) bought shares worth Rs 413.16 crore yesterday, provisional data released by the stock exchanges showed. In the Asian region, Hong Kong's Hang Seng fell 0.74 per cent, Japan's Nikkei shed 0.88 per cent, while Shanghai Composite Index was down 0.93 per cent in early deals. The US Dow Jones Industrial Average ended 1.90 per cent lower in yesterday's trade.